Now after you've bought all the required components, it's time for the moment of truth: You are going to actually put together your own machine. Assembling wise you might think that it would be tricky, but it's actually pretty easy. Here's what you need to do. To start, open up your case. Most of the time, you will only need to unscrew a few thumb screws on the back of your case and just slide the side panels off after. Take a good look and check where the hard drive bays are, where your CD drive will go, where the power supply mounts on the top or the bottom, and so on. There should also be a bag of screws inside your case; that you'll need it in a few minutes. It's time to install your power supply and plug everything in which is the first step. However it should be pretty obvious where your power supply goes, as there will be a big rectangular hole on the back of your case. Once you have placed your power supply, you should see the holes on the back of the case line up with the screw holes in the power supply. Screw it into place and you are done for this step. Open up your motherboard box and take out the I/O shield, which is the metal plate that protects the ports on the back of your motherboard. You should see a rectangular space in the back of your case where this should go. Snap it into place. This takes quite a bit of force, so make sure all four sides are snapped in. Open your processor and carefully take it out. Your processor is one of the more fragile parts, so be careful. Find the corner with a gold arrow on it, then look at your motherboard's processor socket for a similar arrowed corner. Line these two; this is the direction your processor will go. Lift up the lever on the processor socket and put your processor in (bear in mind that some motherboards might also have a cover you have to lift up first). Pull the lever down to lock it into place. Again, do this gently—it shouldn't require any feats of strength on your part, so if it isn't falling into place easily, something's wrong. Take it out and try again gently, make sure your two arrows are lined up, and of course, double check that your motherboard and processor are of the same socket type. Once your processor's in, grab the cooler that came with your processor, or if you bought a separate cooler, grab that. It should already have some silver thermal paste on the bottom. If not, you'll need to buy and put a very thin line on your processor. Usually just put about the size of a grain of rice or two, that's all. Set your cooler on top of your processor. If you have an cooler from Intel, you'll need to press down on the four pins until they click. You can find more info on the manual. For the AMD coolers, just hook the two latches on the sides onto the motherboard's and pull the lever down after to lock it into place. Installing the RAM is very simple. You can easily find the RAM sockets on your motherboard. Pull the two clips on the sides down. Line up the notch in your RAM stick with the notch in the socket, and press the RAM down into place. This might take a bit of pressure, so don't worry about being too gentle. After putting the clips should snap back into place. For your video card and other cards (if you want to put more in your motherboard), find the slot that fits your card and match that up with its plate on the back of the case. Remove that plate and slide the card in its place. The card should then be sitting on top of the socket, and all you need to do is press down to lock. When you want to remove your card for any reason, there may be a small lever on the back of the socket you need to press before you pull it out. Pull out your motherboard and line up the ports on the back with the I/O shield you had placed before. You should see that your motherboard line up with the screw holes on the bottom of your case. There could be more holes on your case, so check which ones you need to use, and grab your motherboard standoffs from your bag of screws. Screw the standoffs into those holes, and set your motherboard on top of them. Screw your motherboard into the standoffs so the motherboard is mounted. Every case is a different in their placement for the hard drives. Generally, there are two methods: on some cases, you have a hard drive tray. So after putting the drive in, screw it in securely, and then slide the tray back. Other motherboards just require you to slide the bare drive into the bay and then screw it in snug after the fact. Check the manual for more detailed instructions, because it all depends on how the company has implement the placements of hard drives. If you're using multiple hard drives and a big case, it's usually a good idea to leave some open space between them. This gives more airflow between them and will help keep them running cool. The optical drive should be pretty easy to put in. Just pull out the plastic cover on one of your 5.25" drive bays and slide in your optical drive. Screw it into place if necessary and again it depends on the build of your case. A 24-pin Motherboard Cable: This is the biggest cable on the power supply, which gives the motherboard the electricity. It has 24 little pins in it. Some cases should have a 20-pin with a 4-pin on the same cable, so you can combine them together and plug them into your motherboard. It should lock into place, and might take a bit of strength to get it in all the way. Push it in until you hear the click and you are done. A 4-pin Motherboard Cable: You should also have a separate cable with 4-pins coming out of your power supply, and a small 4-pin socket somewhere on your motherboard. This plugs in the same way as the 24-pin cable. Just place it until you hear a click. SATA Power and Data Cables: Your hard drives and optical drive plugs in via SATA, which contains two cables. The skinny black plug what comes out of your power supply, is giving power to the drives. The red cable that came with your motherboard is the SATA cable that actually transfers data. So just plug the power cable (skinny black) first into the long pin on your hard drive, and plug the data cable (red) into the short pin. The sockets are L-shaped, so they only will go in one way. After plugging the cables, be sure to plug the other end of the data cable into your motherboard, in the sockets labeled SATA. Repeat this entire process also for your optical drive. 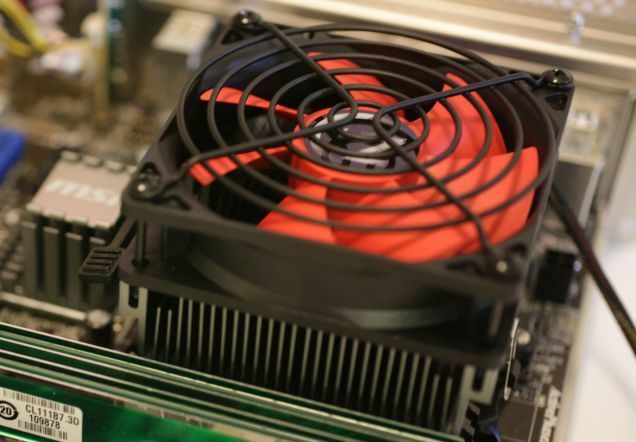 Molex Power Cables: Your Molex cables power other things, like the fans in your case. 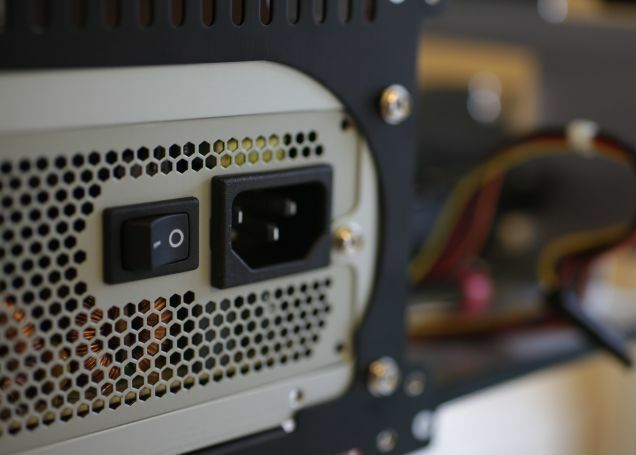 Take the connected plugs to your case fans and just plug the male side into the female Molex cable on your power supply. This takes a bit of force to get in. Front Panel Audio, USB, and other frontside Connectors: Most of the time you will find ports on the front of your case, these can be USB, headphone, and microphone jacks. There should also be some small cables coming out of the front of your case which is labeled like USB, HD AUDIO, and 1394/FireWire. Plug these into their places on the motherboard, usually the will be labeled as USB, AUD, and 1394. After plugging everything in, your done with this step. Power Switch and LED Connectors: The last step is easy to do, because, the small cables are labeled POWER SW, RESET SW, HDD LED. These are for connecting the switches and LEDs on the front of your case to the motherboard, so basically it turns your computer on. They all have only one or two pins, and all of these plug in on an 8-pin header somewhere on the motherboard. 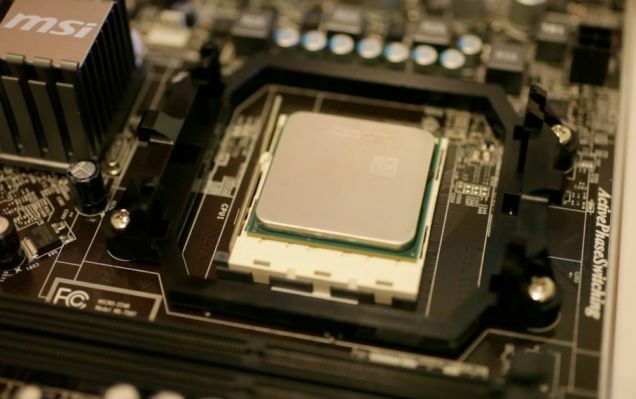 This varies however from build to build, so you'll have to check your motherboard's manual. Your motherboard may also have a small speaker that plugs into an 8-pin connector, which you can find in your motherboard’s box and will be on the manual. As you are managing the cables, you need to be know where you want to put these cables. But most of the time, you want to keep them as out of the way as possible. The more they' get in the middle of your case, the more they're going to block the airflow. This will lead to a computer that runs hotter, louder, and possibly even overheat. There should be zip ties included in your case box. Some cases have even built-in cable management features, like clips or holes to keep the cables out of the way. When you're done with every step, plug in the power cable, and press on the power button. If everything went well, your computer should now turn on. If you have plugged in a monitor , you should see what's called the POST screen. From there, you can head into your BIOS setup by pressing a key on your keyboard (most of the time it is the Delete button). And now, it's time to start cleaning up your desk. Don’t throw anything away but the actual garbage. Keep all the screws, brackets, and big/small pieces you didn't use in the motherboard's box. It can become handy for future builds, when you want to upgrade your own build, Always have extras of everything on hand just in case. If your computer didn't turn on, don't panic. First, recheck everything. Is every cable plugged in correctly? 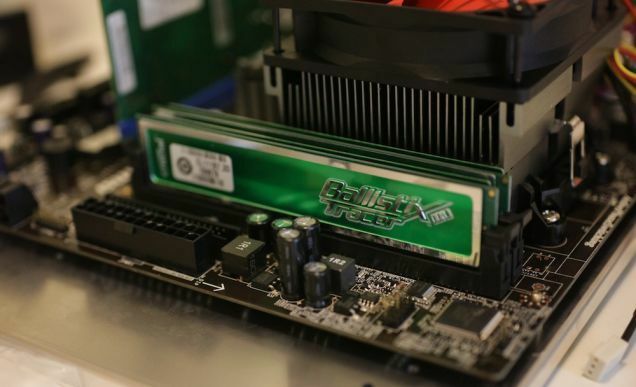 Is your RAM all the way in its socket? Just check if everything went correctly. If your system turns on and makes a beeping noise instead of the POST screen, then you have an error that can be fixed easily. 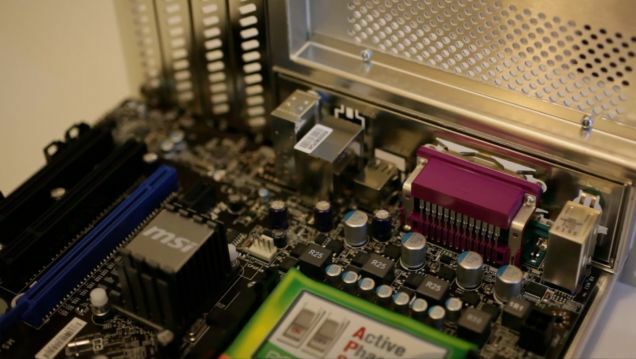 If you can find your and enter your motherboard's BIOS (either by watching the POST screen or by searching online), you can diagnose these error codes to find out what's wrong. Once you have a computer that is working, congratulations! You're now done building, relax for now and be ready for the next lesson on how to install an operating system. You should feel very proud about yourself. Don’t forget to check our Facebook page or check our website for more news.